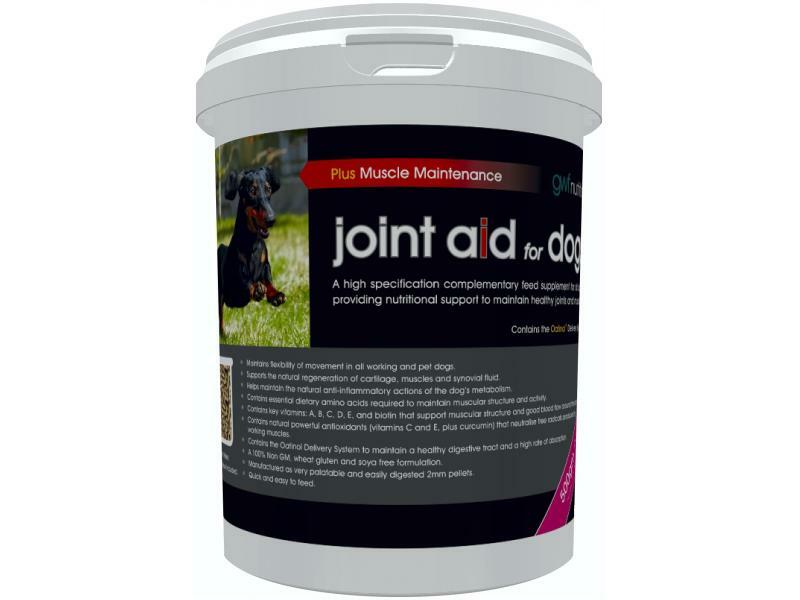 Joint Aid for Dogs + Muscle Maintenance is a high specification complementary feed supplement. Manufactured as very palatable 2mm pellets for quick and easy feeding; it provides a combination of 20 active nutraceuticals to maintain healthy joints, aid freedom of movement and support the natural regeneration of muscle regardless of age, size or level of exercise. When should I feed Joint Aid + Muscle Maintenance to my dog? What are the key benefits of using Joint Aid + Muscle Maintenance for Dogs? Joint Aid for Dogs + Muscle Maintenance can be fed to all dogs from any age at the ‘General Support’ level to maintain freedom of movement and muscle condition throughout their lives. For elderly and working dogs showing signs of restricted movement and/or reduced muscle mass, Joint Aid for Dogs + Muscle Maintenance is recommended to be fed at the ‘Full Support’ level. Supports the natural regeneration of cartilage, muscles and synovial fluid. Helps maintain the natural anti-inflammatory actions of the dog's metabolism. Contains essential dietary amino acids required to maintain muscular structure and activity. Contains key vitamins: A, B, C, D, E, and biotin that support muscular structure and good blood flow around the body. Contains natural powerful antioxidants (vitamins C and E, plus curcumin) that neutralise free radicals produced by working muscles. Contains the Oatinol Delivery System to maintain a healthy digestive tract and a high rate of absorption. Manufactured as very palatable and easily digested 2mm pellets; perfect for mixing with the dog’s normal feed. Simply mix with your dog's normal feed. â€‹Joint Aid + Muscle Maintenance can be fed to all dogs regardless of age, size or level of exercise. â€‹â€‹For continued support, Joint Aid + Muscle Maintenance is recommended to be fed on a daily basis. â€‹Recommended daily levels. 1 measure = 10gms. A measure is included in the pack. 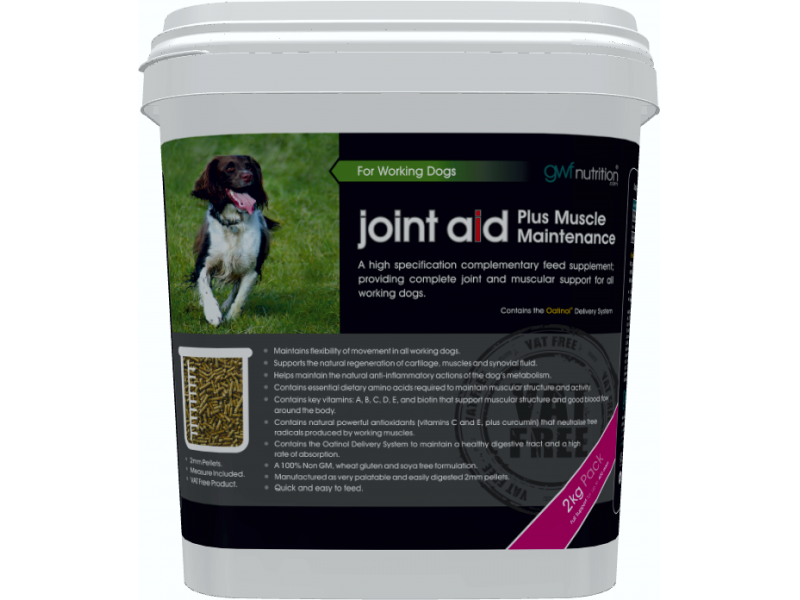 There are currently no questions for GWF Joint Aid for Dogs + Muscle Maintenance - be the first to ask one!